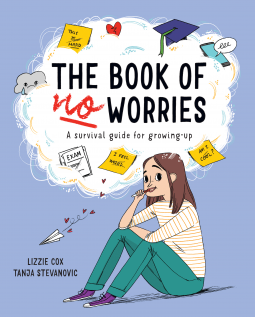 Buy this for a tween that you care about: The Book of (No) Worries by Cox – Joyce's mystery and fiction book reviews with some non-fiction too! This book is an excellent resource for tweens who are experiencing the normal roller coaster of growing up. With chapter headings including School, Mental Health, Friends, Appearance, Emotional Well-being and more, tweens will be easily able to focus on an area of concern. Especially helpful are the q and a sections and those in which a young person directly speaks to the reader about an issue that was faced. The author conveys that all worries can and should be talked about, not held inside. She normalizes many concerns and offers ways to cope. Most importantly, she offers hope that things can get better. Give this book to a young person that you care about. Encourage your school or community library to add this volume to the shelves. A tween may not thank you directly but I do think that they will appreciate having this resource. Thanks to NetGalley and Quarto for this egalley. The opinions expressed are solely my own. Yes, interestingly one reviewer on amazon very much disliked it, feeling it was too liberal. Each one of us has to decide for ourself.